Showered in Sparkles: My first VoxBox from Influenster! 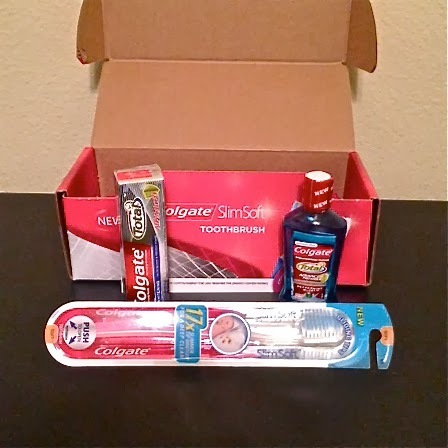 My first VoxBox from Influenster! Influenster is a free -to-join community of invited trendsetters who live to give opinions of products and experiences. Influenster creates links between brands and members to reward participation and influence future products. I was thrilled after being selected for my very first VoxBox, like elated. Sad, I know. They sent me a new SlimSoft toothbrush, Colgate Total Mouthwash and toothpaste. Perfect timing for the ol' switch-a-roo, as it was 3-months since I bought my last toothbrush. The toothbrush was amazing and I immediately fell in love with it. If you want to join Influenster, you can signup here!